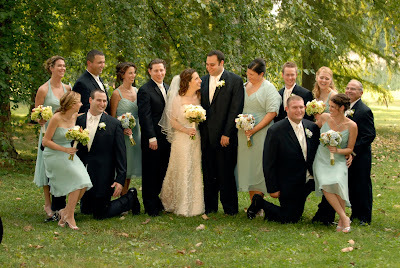 This is a great story about two weddings that Sisters Flowers helped with in 2008. Max and Adam have been life-long friends. When Rachel and Max were married August 31st at Forest Park Golf Club, it seemed natural that Adam would be Max’s best man. 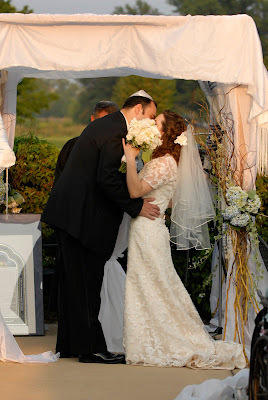 Rachel and Max had a bright and sunny wedding day and Sisters was there to do the flowers and decorate our chuppah for the ceremony. 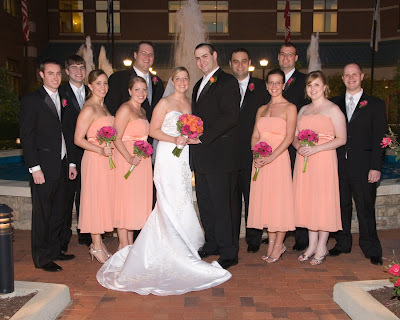 Six short weeks later, Elizabeth and Adam (Max’s best man) had their wedding and reception at the St. Charles Convention Center. Of course, Max supported his friend by being Adam’s best man. 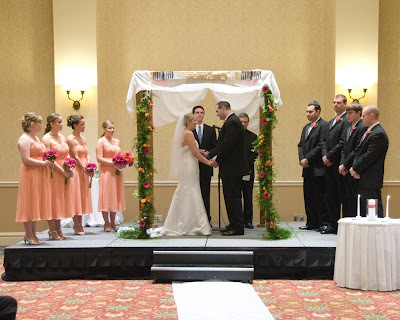 Once again, Sisters Flowers was there to help out with the flowers and chuppah decor. How awesome for two good friends to be a part of each other’s special day! We were delighted to be a part of both weddings and help out two wonderful couples!